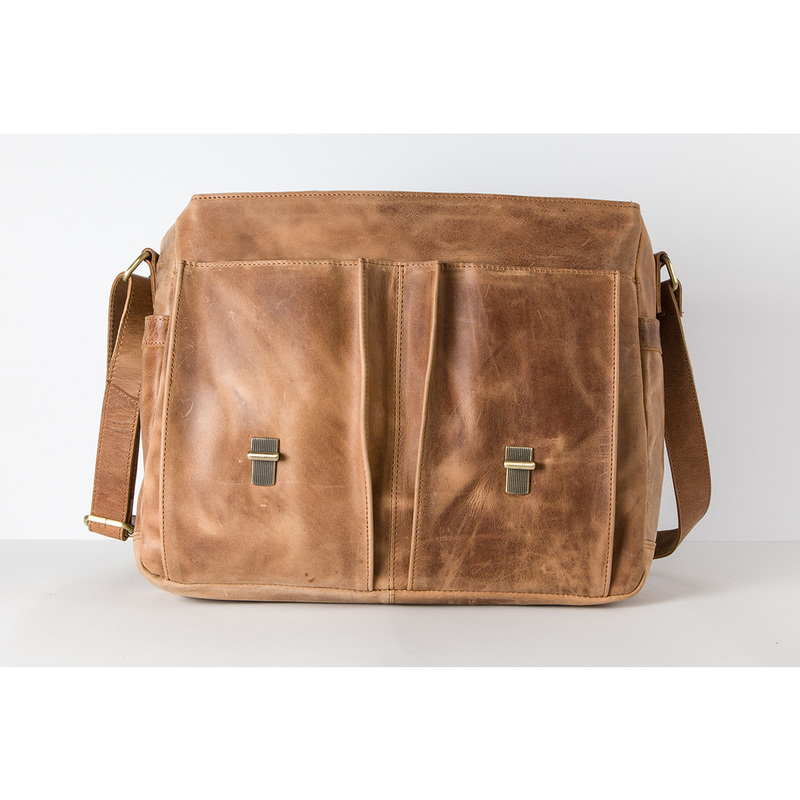 The handmade messenger bag with a metal closure offers all the practicality of a briefcase in an unstuffy utilitarian design. 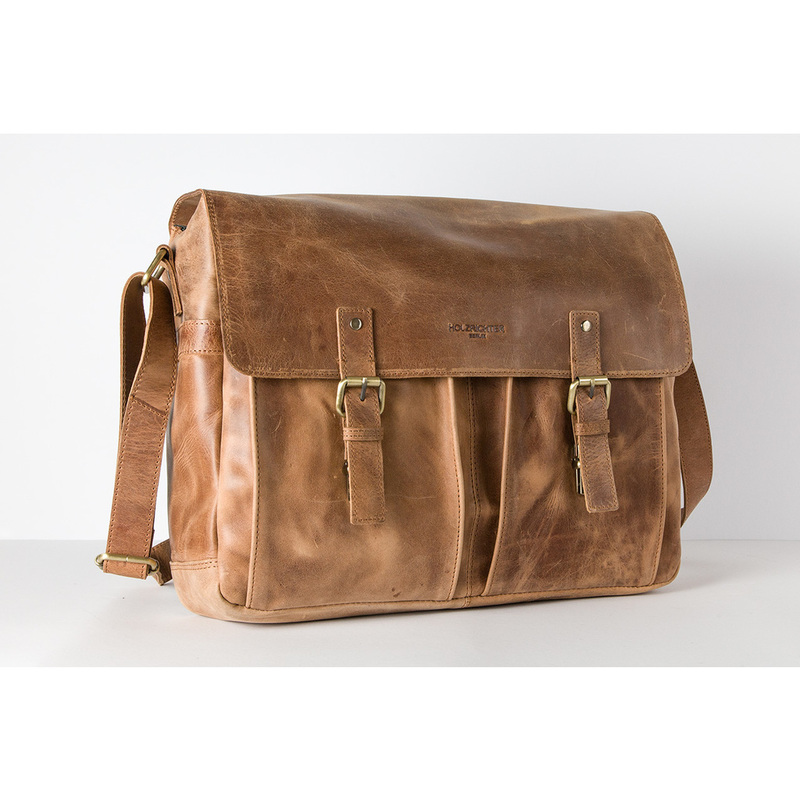 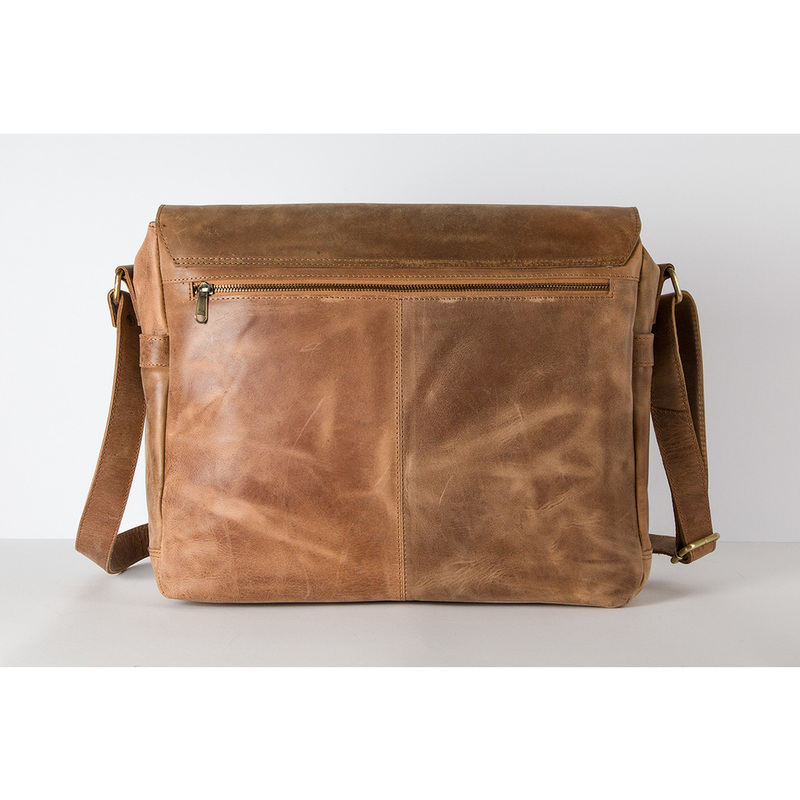 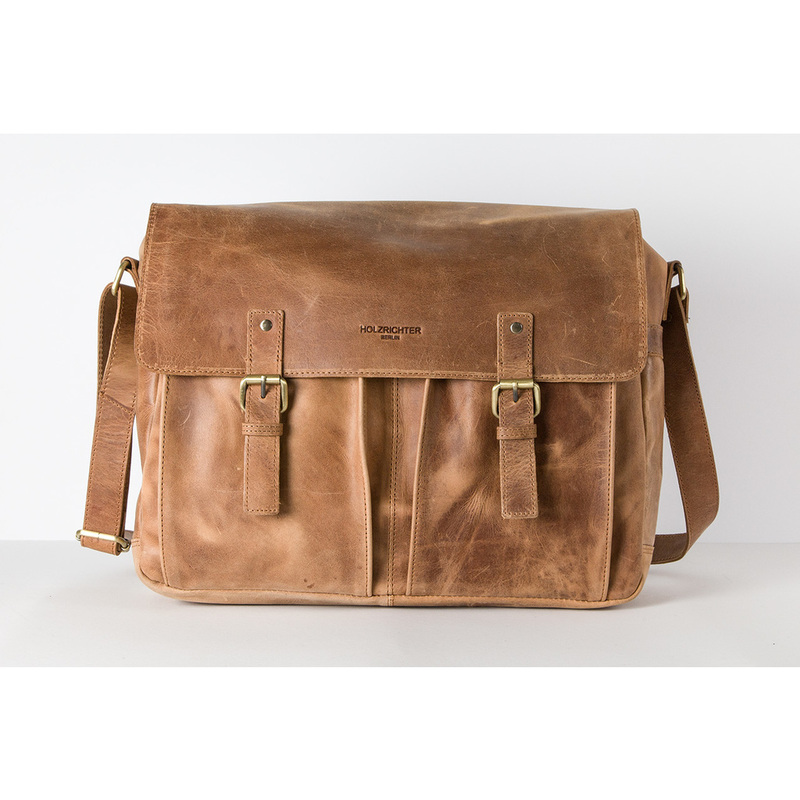 Made from robust (but light weight) goat leather, it's ideal for travel - the interior has small organisational pockets and also a sleeve that will hold a 15" laptop. 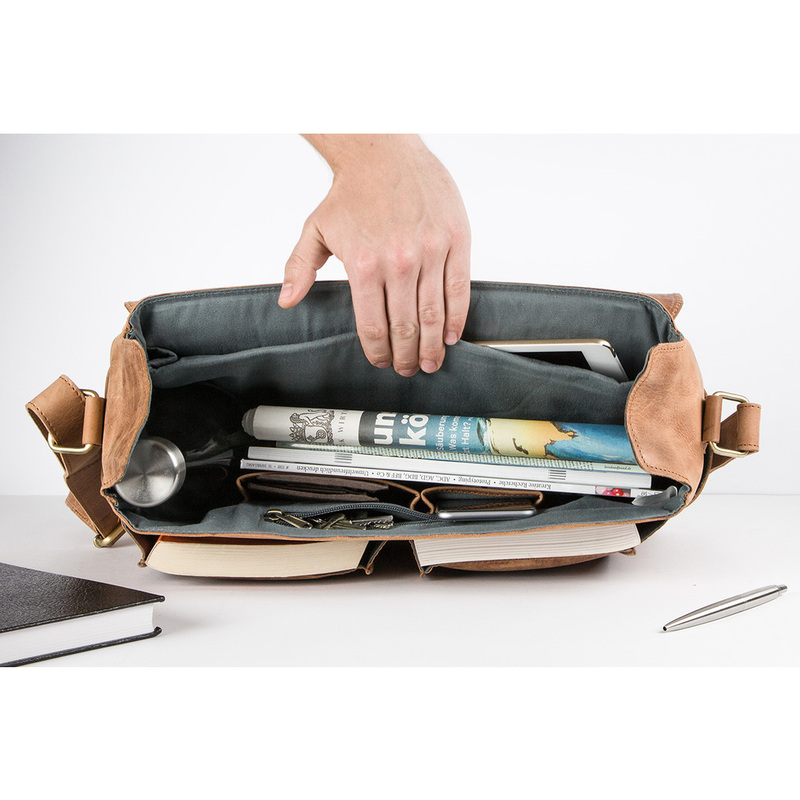 The compact shape offers a versatility of space for books, folders, notebooks or other equipment for the office and your free time.